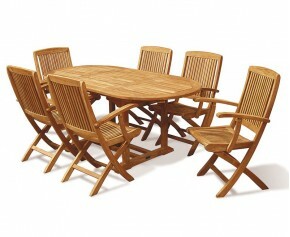 Why Buy Teak Garden Furniture and Rattan Outdoor Furniture from Us? For more than two decades the team at Corido has been designing and manufacturing a range of quality, modern classic teak garden furniture and all-weather rattan outdoor furniture for sale to discerning homes & design professionals throughout the UK and worldwide. 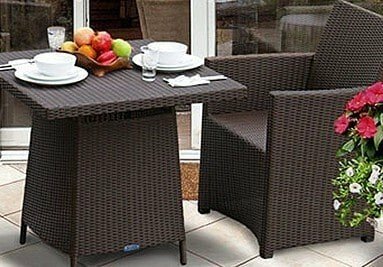 Our extensive range of stylish, durable, authentic and sustainable Grade-A teak garden furniture and contemporary wicker outdoor furniture is on sale from our Surrey Showrooms or from this website. Look for our new design trends, product reviews in addition to our easy returns policy with an exceptional level of customer service. 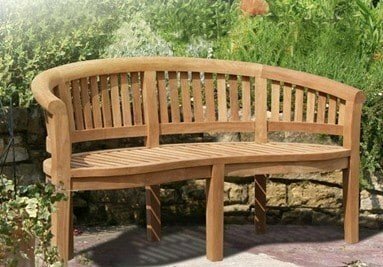 Sink back into this robust deep seated teak garden sofa, with its generous dimensions and luxuriously thick cushions for superior comfort. 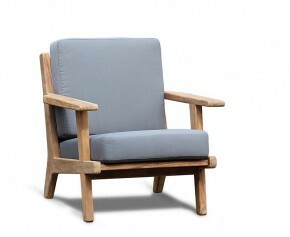 Constructed using mortise and tenon joints and designed with modern minimalism cues, this deep seated armchair is sure to enhance your outdoor space. Just wanted to say thank you for the delivery of the garden furniture we ordered at the end of last month. It was delivered while we were out and the delivery driver placed it safely out of site as we requested. All present and correct very pleased with the quality. Thank you. Just wanted to say how pleased we all were with the seats. They are lovely and so well made. And they arrived in time for us to have them in place for our Remembrance Service. Just to say thank you for the two lovely benches. I bought a memorial bench from you about 5 years and have purchased the same benches (but smaller) for a public place. Delivery and communications great and phone info very helpful too. If needed I will certainly shop with you again. Hi. 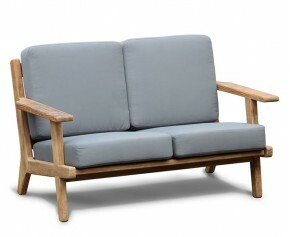 Just to say that I've just taken delivery of one of your lovely Lutyens benches and matching cushions. Promptly delivered, beautifully packed and protected, and a delight to behold when unpacked. Excellent quality of construction; very satisfied with the value. Thanks very much indeed. The bench is fabulous quality and I love it. It's just arrived. It looks so much more beautiful and robust than I imagined! I will be testing it all weekend. Thank you. We accept purchase orders and offer terms for qualified corporate, educational, government and non-profit organisations pending a credit review by our finance department. We deliver the majority of our range fully assembled within two weeks. 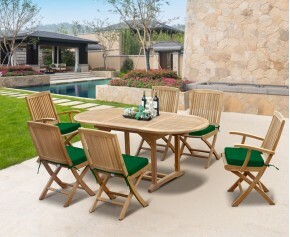 Corido teak garden furniture is crafted from durable sustainable teak (Tectona grandis), a close-grained hardwood that is valued for its durability, water resistance and superior performance, even in marine environments. This is why teak hardwood furniture is a the ideal choice for outdoor furniture as its natural oils protect the timber making the furniture rot, termite and pest resistant. It takes time, dedication, precision and attention to detail to manufacture great furniture that is consistent, uniform and stands out from the crowd. That’s why we do not rush the design or manufacturing process, allowing every piece of furniture to be handcrafted, finished and checked for quality before delivery to you. 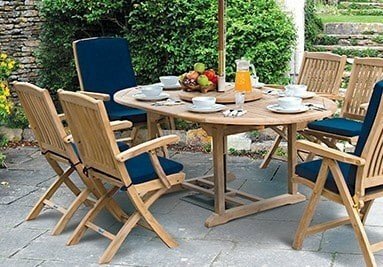 Let’s start with a quick question, do you love buying a whole new set of garden furniture every 4 or 5 years?